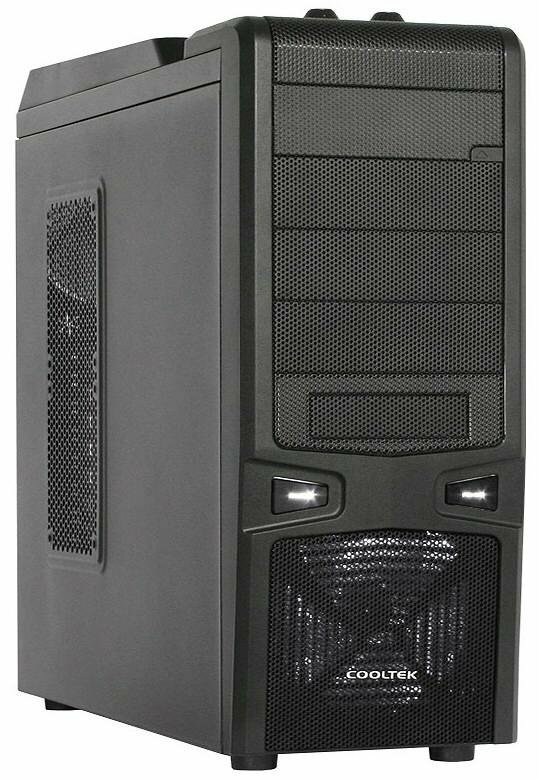 Cooltek is shipping the Timaios, a new mid-tower steel case with an all-black design. 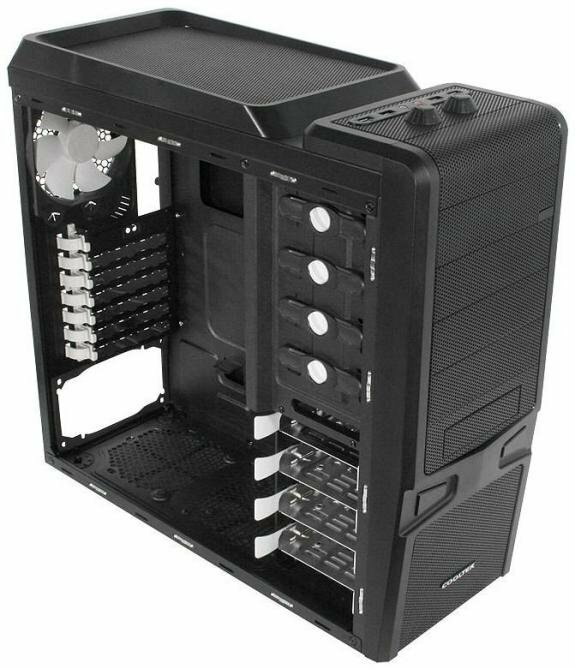 The case measures 476mm x 190mm x 488mm (H x W x D) and supports Micro-ATX and ATX motherboards. It can be found in Europe for around 54.90EUR. Cooltek's case features a front mesh panel, a top-placed I/O panel with USB 3.0 (x 2), USB 2.0 (x 2) and audio (x 2) ports, a built-in 2-channel fan controller, four exposed 5.25-inch bays and four 3.5/2.5-inch internal bays with tool-free mounting systems, two pre-drilled holes at the rear for the tubes of watercooling systems, and four pre-installed fans, one 140mm model with white LEDs in front, two 120mm spinners on top, and another 120mm fan at the back.